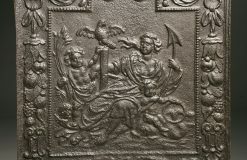 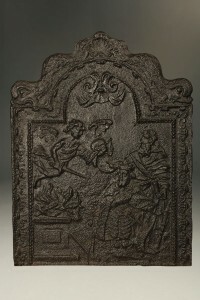 Large late 17th century French fireback with woman and two pitch fork wielding cupids. 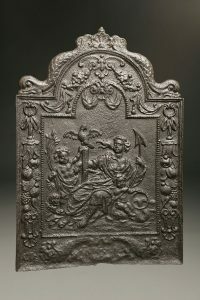 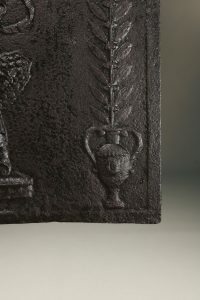 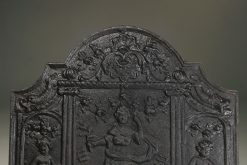 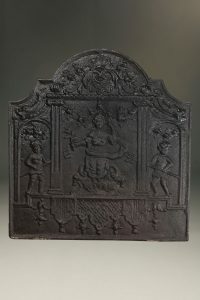 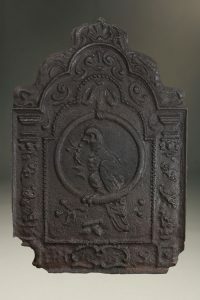 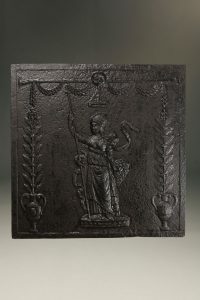 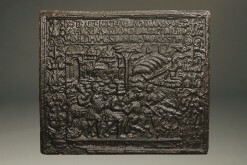 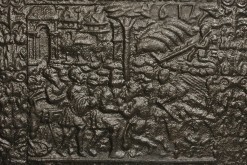 Late 17th century French fireback with a female figure with a crown holding a staff. 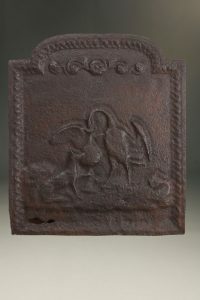 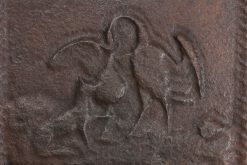 Early 18th century Flemish fireback depicting swan and fox. 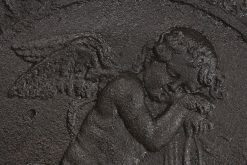 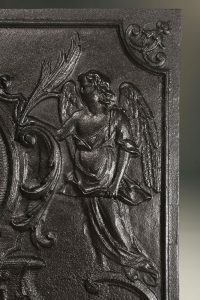 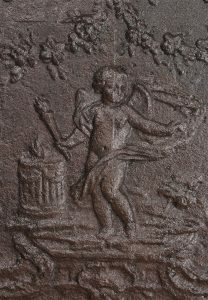 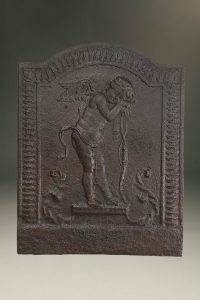 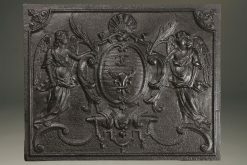 Late 18th century French fireback depicting a sleepy cupid. 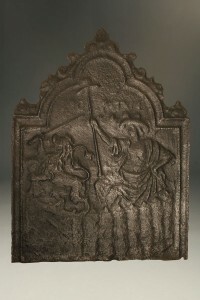 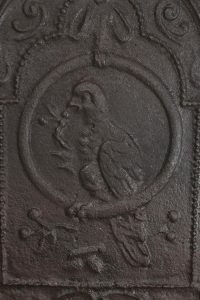 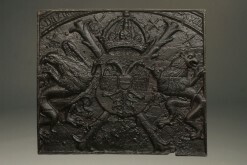 17th century style fireback custom made in France with coat of arms and angle design.